Emma Spitzer was born and raised in Brighton to Jewish parents of Polish and Russian descent. Following her success on reaching the final of BBC1's MasterChef, Emma has been in high demand. 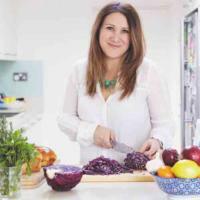 She has been teaching cookery classes and demonstrating at food festivals, running sell-out supper clubs and catering for private dining events.